Ever get that “2 p.m. feeling”? Don’t worry; this isn’t a commercial for an energy drink that’s loaded with stuff that probably isn’t that great for your body. This also isn’t an encouragement to drink that third cup of coffee in the middle of your workday. For years, companies have been coming up with solutions to cure the 2 p.m. slump but few have succeeded in creating a beverage that’s not only caffeinated but is good for you too! This was the dilemma Tempo Tea founder, Ryan Crane, realized he was in a couple years ago: going through his workday at an investment bank with almost a 100% chance of “that 2 p.m. feeling”. So he recruited his best friend and Tempo co-founder, Austin Gallagher, and got to working on a beverage that could solve the issue. Through the collaboration of Ryan’s business experience and Austin’s science background, the two decided that tea was the best solution: the caffeine within tea releases slower than coffee does and the body benefits more from small micro-doses of caffeine as opposed to all at once. What they ultimately created was a beverage that is lightly caffeinated, crisp and bubbly with zero calories, zero grams of sugar and completely organic. Finally, there is a caffeinated drink that is healthy, refreshing and provides a more natural boost of energy throughout the day. With every successful startup, there is a company philosophy. At Tempo, they are committed to social change toward sustainability and environmental causes in every aspect of their business. 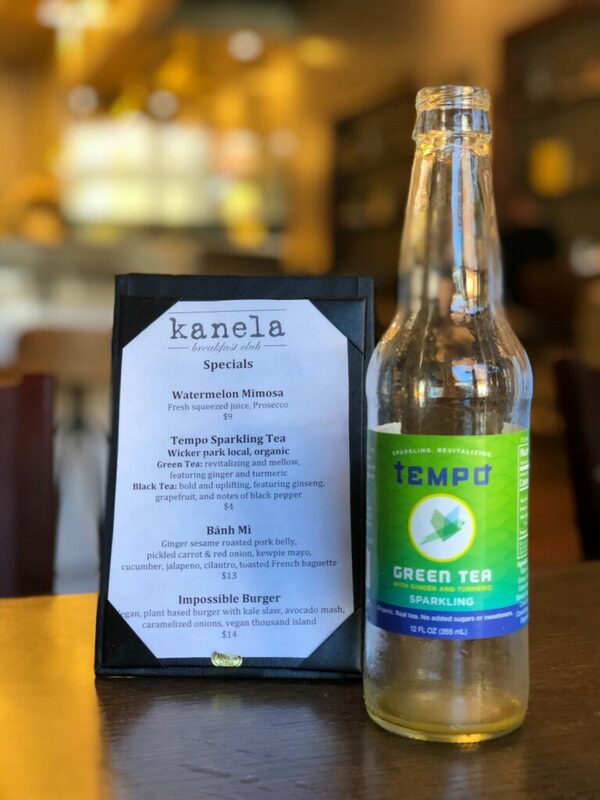 The tea ingredients are organically sourced from all around the world and Tempo’s manufacturing is low-impact with 100% recyclable glass and little to no plastic materials. The team at Tempo also loves the ocean and working with conservation programs that work to restore and maintain their health. Their beverages help support the important ocean conservation work being done by Beneath the Waves, a non-profit organization whose mission is to conserve sharks around the world through cutting-edge research. Beneath the Waves is collecting critical information on shark behavior and habitat use to better understand where and when sharks are most vulnerable to illegal fishing, in hopes of creating meaningful policies to help conserve and protect these threatened species. Tempo supports and participates in these crucially important conservation missions. Or shop online and get it shipped right to your door! We knew you’d ask if Tempo Tea would go great in a cocktail (the answer is yes!) so we went ahead and got some recipe ideas from Austin and Ryan themselves using Tempo’s two signature flavors! These cocktails are really simple and anyone can make them! 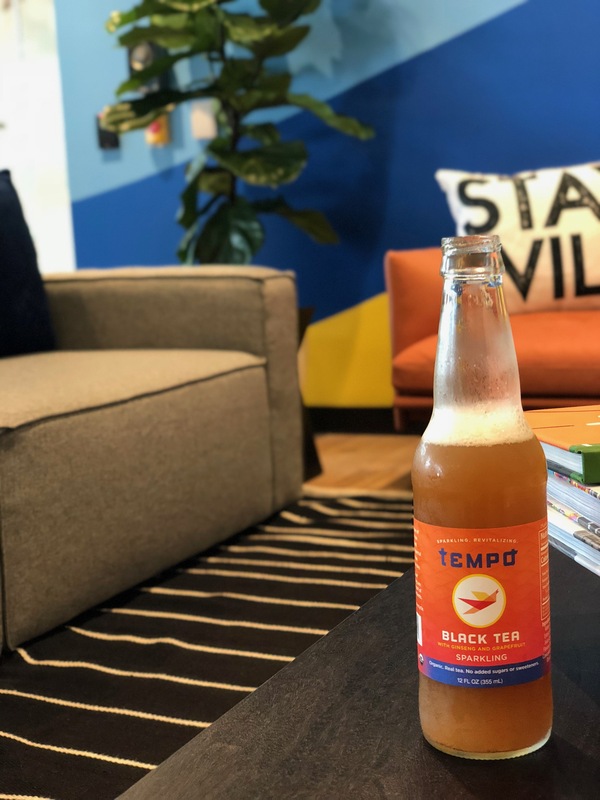 Subscribe to Tempo’s e-newsletter, follow them on social media and check out their blog here for new flavors, where to buy and the best places to enjoy your Tempo beverages in Chicago!